Join us for a spectacular day at the Maumee branch, Toledo-Lucas County Public Library as we celebrate life, authors, illustrators and reading excellence. Thinking of attending? Please take a look at the highlights for the day. A big thank you to all of our sponsors this year! 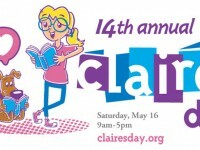 Claire’s Day is Northwest Ohio’s largest children’s book festival! Celebrating the life of Claire Lynsey Rubini who passed away at age 10. 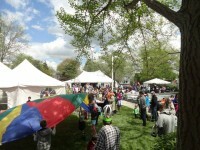 This 14 year old tradition grows each year as more than 6,000 people venture to Maumee to join in the fun! 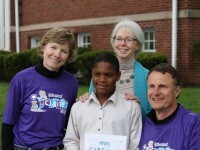 Claire’s Day shares Claire’s love of reading with children and families. 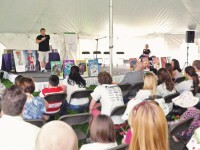 Meet children’s authors, illustrators and storytellers! Visit the Barnes & Noble Book Sale area, purchase books and then have the author or illustrator sign your book for you! Purchase food, t-shirts and other fun book items. It really is all FREE thanks to our generous donors! But bring along money for food, beverages, t-shirts and book purchases! 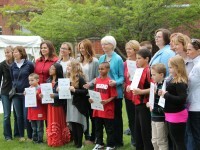 We are very proud to present this year’s participating authors and illustrators! To learn more, visit their individual websites! « Thank you for your support on Giving Tuesday! We thank our donors and volunteers EVERY DAY! Today we would like to thank you, our facebook, twitter and web friends for your donations to #GivingTuesday. Over 12 new donors or time and treasures reaching over $1560.00 this year! 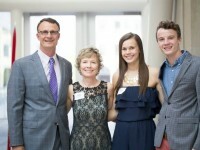 We will continue to share our stories and student success with you all year long! Thank you Toledo Community Foundation, Inc.and our Anonymous Donor — because of you we will be working to secure a “double match” for these gifts! As always, you can follow us on Facebook and Twitter to stay in touch with our upcoming events and announcements. « Show your support on Giving Tuesday! There’s Black Friday and Cyber Monday for shoppers to get deals on gifts for those they love over the holidays. And now, there’s #GivingTuesday™ – a campaign to create a national day of giving at the start of the annual holiday season. It started in New York to celebrate and encourage charitable activities that support nonprofit organizations. 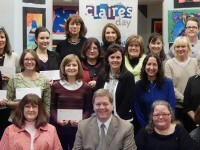 In 2014, Northwest Ohio nonprofits are participating, too, including Claire’s Day. If you’d like to show your support for Clare’s Day this Giving Tuesday, please fill out our donation form and make a donation on December 2nd! 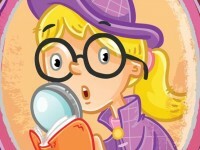 « Author and Illustrator sessions: Fun and educational!